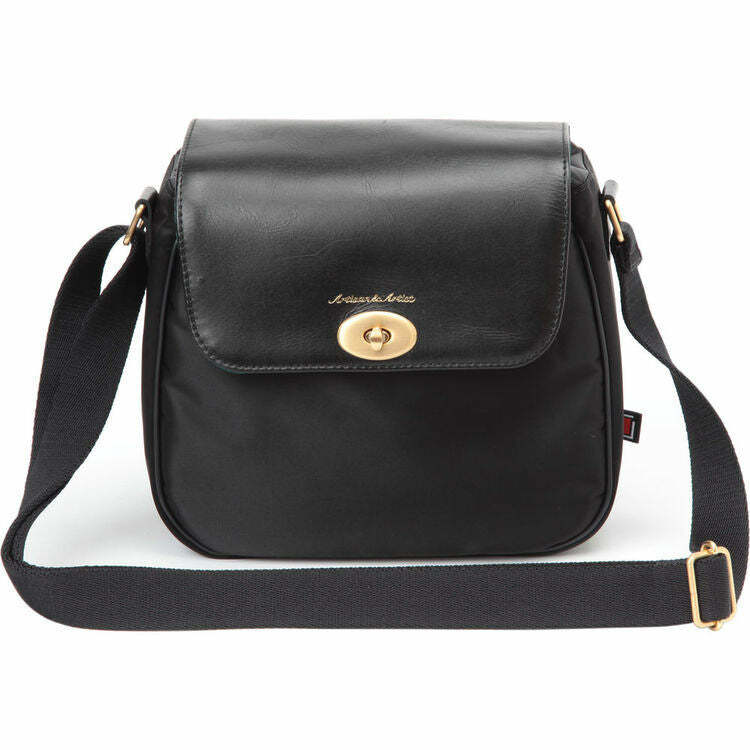 The black PO015 Camera Bag from Artisan & Artist is a functional and stylish option that resembles a purse and can accommodate a mirrorless camera with an attached lens or a point and shoot camera. The bag's main compartment features an adjustable touch-tab divider which can be removed so that the bag can be used as a traditional purse. Even with the divider, enough space is available for a second mirrorless camera with a lens attached, or instead, a wallet, phone, or small notebook. The contents of this bag are secured with a front-facing flap that is fastened with a turn-lock, while an open rear pocket can accommodate a wallet, map, or another small notebook. An adjustable shoulder strap is included to wear the 3WC-PO015 Camera Bag alongside or across the body. The bag is constructed from nylon and leather along with brass-colored fittings that include four embedded purse feet that elevate and protect the bottom of the bag when you place it on a flat surface.